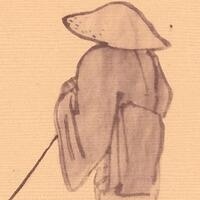 In contemporary Japan, membership in haiku groups is overwhelmingly female. However, in the early part of the Edo period (1603-1868), only 2-5% of poets writing haikai (the premodern name for haiku) were women. One of the most prominent of these early female haikai poets was Tagami Kikusha, whose life of incessant travel was inspired by that of Matsuo Bashô (1644-1694). Kikusha was a member of the Minô School of haikai, whose founder, Kagami Shikô, came to be called the “Haikai Demon” to contrast him from Bashô, the “Haikai Saint.” The style that Shikô promoted was simple, straightforward, and appealed to provincials, whose ranks at the turn of the 18th into the 19th century increasingly included women. In my paper, I will consider the hokku (17-syllable verse) of Kikusha as exemplifying the Minô School style. How much did author’s allegiance to this approachable, populist school of haikai enable her to be a success as a poet, despite the restrictions imposed by her gender? Cheryl Crowley teaches courses on premodern Japanese literature and visual culture at Emory University. She completed her masters degree at the University of Pennsylvania and her Ph.D. at Columbia University. Her book, Lightening into Dawn: Haikai Poet Yosa Busonand the Bashô Revival, was published by Brill in 2007. She is working on a book about women haikai poets in early modern Japan.